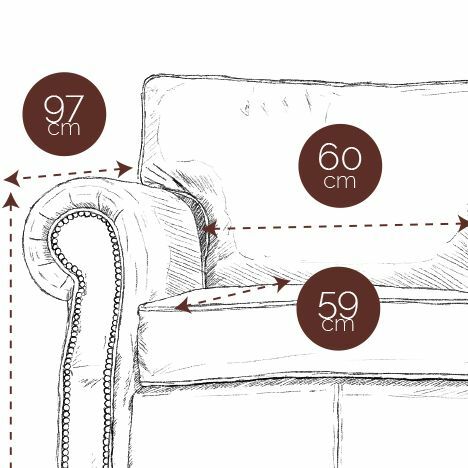 The No.6 is our handmade vintage leather sofa. Lovingly hand crafted by our small team in exactly the same way as our Chesterfields. 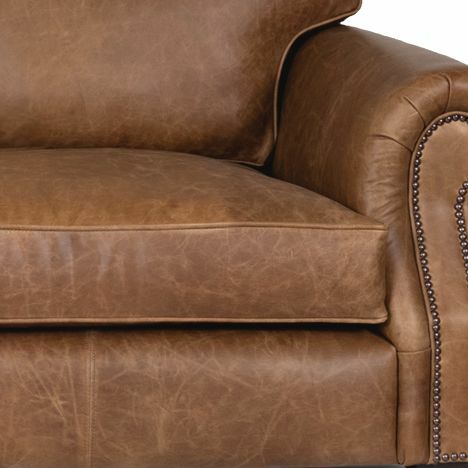 We wanted to achieve the look of a good old, rugged, distressed vintage leather sofa. This sofa looks like it has lived a good life already, even though it’s brand new. Each No.6 we create is a one-off piece of furniture. A range of striking soft plush velvets to add a whole new level of opulence to your S.W. James sofa or chesterfield. British sourced, our velvets offer a striking alternative to our leathers and wools. Sumptuous loose filled back cushioning. Perfect for that indulgent moment or 2 on your own. Drop into our feather filled armchairs and enjoy some you time. Covered in our most luxurious, hand distressed vintage brown leather. Only available from S.W. James. The No.6 single seater sofa/chair melds perfectly into the home. With its English style reclined low arms it has a mild mannered welcoming appearance, enhanced via its soft cushioned back and distinctively seamed and pinned border. Sturdy feet meet brass casters whilst the whole seat is adorned in one of our vintage pulled leathers that really show off the leathers origins and shades.